Pentax K-01 mirrorless camera in February? Like many camera manufacturers, it seems Pentax will be announcing a new camera body at next month's CP+ show in Japan. 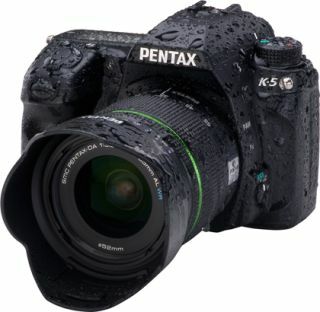 The Pentax K-01 isn't a D-SLR, but a mirrorless interchangeable lens camera, if the latest rumours are to be believed. Reliable Japanese tech site Digicame-info has posted fairly convincing list of K-01 specs, including size, weight and technical details as supplied by 'credible' sources. Unlike the diminutive Pentax Q, it appears that the K-01 could be a much larger compact system camera, closer in size and weight to the Pentax K-r – albeit without a mirror and optical viewfinder. Appearance-wise, it's said to share more in common with the Optio compact series, rather than the K-series camera bodies. Industrial designer Marc Newson is rumoured to have been involved in the K-01's design. A larger form factor would enable Pentax to use the current K-mount in the K-01, meaning existing Pentax users should be able to buy into the new system without having to splash out on a range of new lenses or adapters. This would give the K-01 some distinction when compared to similar mirrorless offerings from Nikon and Sony which feature different lens mounts from their respective DSLR lines.